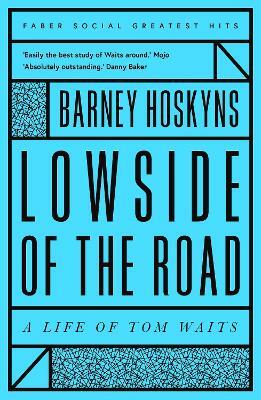 Spanning Tom Waits' extraordinary 40-year career, from Closing Time to Orphans, Lowside of the Road is Barney Hoskyns' unique take on one of rock's great enigmas. Like Bob Dylan and Neil Young, Waits is a chameleonic survivor who's achieved long-term success while retaining cult credibility and outsider mystique. From his perilous "jazzbo" years in '70s Los Angeles to the multiple-Grammy winner of recent years - by way of such shape-shifting '80s albums as Swordfishtrombones - this exhaustive biography charts Waits' life step-by-step and album-by-album. Affectionate and penetrating, and based on a combination of assiduous research and deep critical insight, this is a outstanding investigation of a notoriously private artist and performer - the definitive account to date of Tom Waits' life and work. Barney Hoskyns is the co-founder of online rock-journalism library Rock's Backpages, journalist for Uncut, The Observer Music Monthly and other UK publications, and author of several books including Waiting for the Sun: Strange Days, Weird Scenes, & the Sound of Los Angeles (1996), and Hotel California: Singer-Songwriters & Cocaine Cowboys in the LA Canyons (2005). He lives in London.